Matt Sallaberry joined the Moneta family in April 2017 as an Advisor on the O’Meara Ring Winegrad team. Prior to joining Moneta, he spent 17 years as a commercial lender with an extensive background in business development, corporate risk assessment and business consulting. Matt graduated from Marquette University in Milwaukee with a Bachelor of Science in Finance. 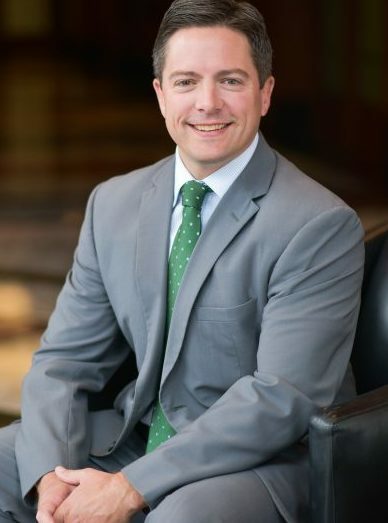 He then spent 5 years at La Salle Bank in Chicago before moving back to his hometown of St. Louis to serve as Vice President of Commercial Lending for Enterprise Bank & Trust. Matt continues to build upon his prior background in corporate finance by focusing his practice on helping business owners achieve their personal or family financial objectives. He holds the Certified Exit Planning Advisor (CEPA) and CERTIFIED FINANCIAL PLANNER™ designation and leverages his expertise to assist business owners in identifying, protecting, building, harvesting and, ultimately, managing the value of what is, often times, a business owner’s largest and most illiquid asset – the business itself. Outside of the office, Matt enjoys spending time with his wife, Cori, and their three children, Molly, Jimmy and Margot. He also enjoys personal fitness, fly fishing, and listening to blues music whenever he can.